More than three months after the merger of Harris Broadcast, the company announced appointments in sales, service and human resources in order to strengthen their team and to lead globally as an independent company. These appointments highlight Steve Reynolds as Chief Technology Officer and Skip Sorenson as Chief Financial Officer, who will report to the CEO of Harris, Charlie Vogt. “With this merger, we have built a management team that focuses on the challenges and opportunities of the industry, customers and partners. Steve is part of a team that shares a clear vision to lead the market in technological innovation and promoting a culture of “customer first.” The IP software, most recently in Comcast, brings an innovative customer perspective that is ideal to guide the direction of our product, while Skip’s financial acumen in both private and public companies, is aligned with the goals and long-term goal,” said Charlie Vogt, CEO of Harris. 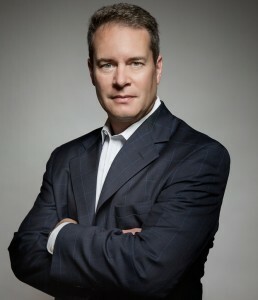 Under his charge, Reynolds will lead the product development and R&D Company, providing vision and leadership for nearly a thousand products and members of the engineering team, while helping service Broadcast and communications to clients, designing and developing the next multiservice technology generation. Meanwhile, Sorenson, new CFO, will be responsible for finance and IT operations.